Welcome to the homepage of Ashio Research Society. Have you been to "Ashio"? What did you feel from the scenery, people of "Ashio"? the before mines were closed. 足尾研究会のホーム・ページ・目次 Home Page of Ashio Research Society・ Contents. 足尾研究会の出版物紹介・The Publication of Ashio Research Society. Poster Session, Entry the Particulars. Akabira convention relations end in this. 鉱山・炭鉱写真室 ・ Photograph Room of Mines,Coal Mines. 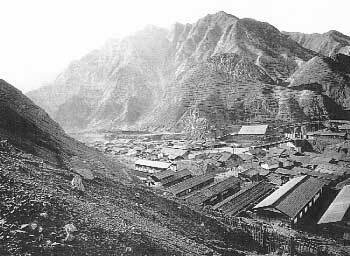 Site of Ashio Copper Mines, Kotaki, in 2001. Site of Sakito, Ikeshima and Takashima Coal Mines, in 2002. Site of Hashima Coal Mines, in 2002. Site of Taiheiyou Coal Mines, in 1992. Site of Minami O-U-bari Coal Mines, in 1987. Site of U-bari's Coal Mines, in 1987. Site of Manji, Ponbetsu and Mikasa's Coal Mines, in 2001. Site of Sorachi, Akama, Akabira Coal Mines and Toyoha Metal Mines, in 2001. Site of Hishikari and Ohkuchi Mines, in 2002. Site of Kushikino, Akeshi, Kago, and Kasuga Mines, Others, in 2002. Site of Enmanji and Myoho Mines, in 2002. Site of Kisyu Mines, in 2002. 足尾研究会のベスト・リンク集・ The Best Links of Ashio Research Society . ※New opening, Renewal notice！(New！) It is being examined. It tried to make a homepage for the first time. It is the beginner studying still. Give me an advice about an impression. copyright person without notice firmly, and prohibit it as for any form as well. Refuse no permission though the outside link is free in principle. Let me know by mail in advance. A manager on June 3, 2003.